These little girls are such a hoot. 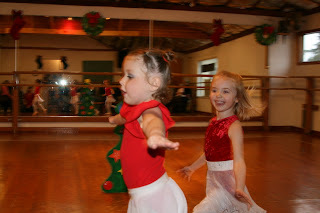 We have been doing dance since the beginning of the year, Lucy would go Monday afternoons and Thursday afternoons, Zoie would go Wednesday morning while Lucy was in school. It is alot of fun we dropped Lucy's Thursday class, it is so expensive she only wondered why she wasn't in the tap class for about a week then she was over it. 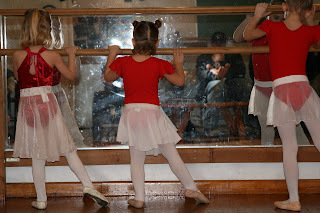 If your girls, and even boys love to dance, get them in classes they have so much fun, and really do learn the dance moves. 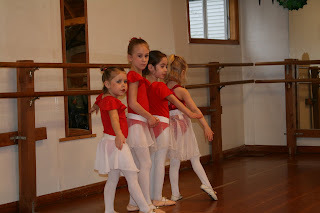 This was there end of the year practice recital. They have a great big one coming up in May with all the foofy costumes at the Elsinore theatre and they are so excited. 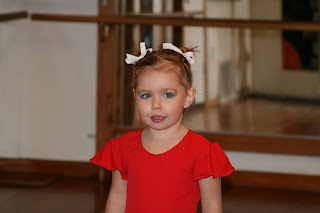 We got to watch with all the parents this practice recital, Zoie was not going up there for the life of her, Scott finally did some convincing with candy and I'm sure a date with dad and finally she joined the rest of the girls and did great. 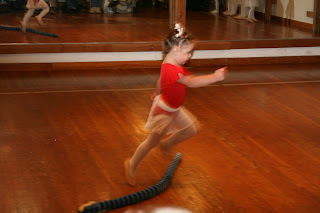 She is very graceful, and so serious when she is practicing. 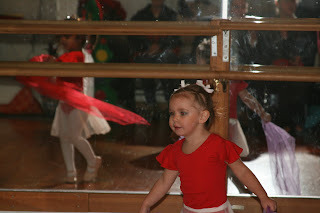 Here is my little Lucy who is the dancing queen. 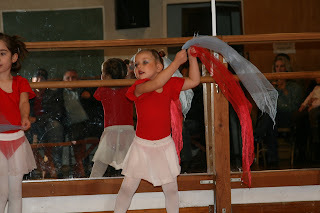 She is the youngest in her class and by far knew all the moves the best and was the most graceful. Yes I am a proud mom. 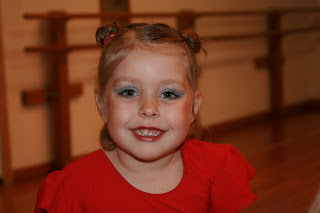 They got to wear makeup to this recital and Lucy's had to be "just perfect, like all the beautiful princess dancers". It's so amazing how fast they grow up. 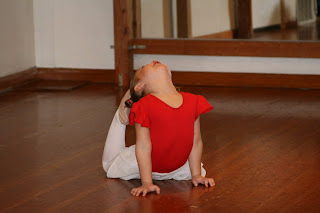 She is so flexable as well and practices all the time at home, and tries to teach and boss her little sister around as to how to do the moves, and what they look like. Last but not least the Sashay around the room. It was so much fun to watch and see what they have learned so far, I can't wait for the real deal in front of tons of people. Holy Cow, she does look little next to those other girls. SO CUTE! I took Al out because it was becoming a battle to get her to go. I didn't want to waste my money if she didn't care. She's in a craft/music class now and loves it...Im sure it will be something else in a few months. Soon she'll find something that she loves. Of my gosh, they look so cute!!! I love the red and white. I asked Scott for the dates of the recital and he has not given it to me yet. (I know you called but I didn't write it down.) Let me know ASAP so we can look into flights. Unfortunately Ron has a convention in Washington in EARLY May, too bad it didn't match. It seems to me the recital is the 17th or 24th or something like that?? Amber this is sooo cute! I can see Noah right now twirling and giggling oh actually I see him taking his truck and running it over all the pretty little girls toes. If I think on it too long I can picture much worse. Love the family photo too! They are so cute! Your girls look just like you! 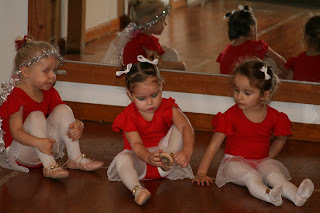 I love that they are so girly and dance! Can't wait for that!